Apple is releasing iOS 11 and with it comes changes to the navigation app. 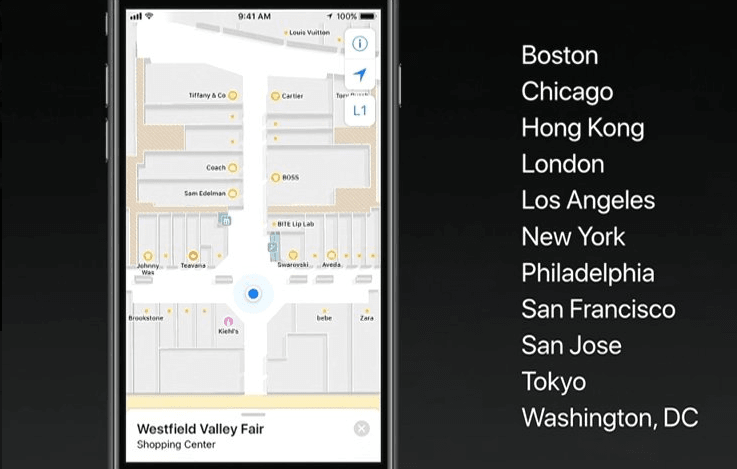 The updated version of the popular navigation app will feature enhanced information for when you get where you’re going – detailed floor plans of malls and hotels for example. You’ll also be able to determine the floor plan of an airport before you get there – including airport security locations. The updates also include a feature that will determine what lane you should be in for optimized traveling, including notifications that will tell you when to change lanes.